A Plus Dental believes in the significant role preventative dentistry plays in your oral health journey. Our preventative dentistry services focus on early diagnosis of dental issues and taking necessary steps to stop and repair progress of these issues. Dental check up is the core of our preventative services. For better care of your oral health, see your A Plus Dental dentist for a dental check up. 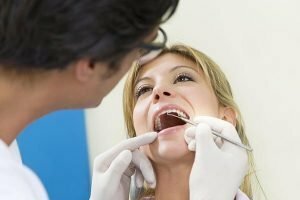 What happens in a Dental Check Up? In a regular dental check up, your dentist will assess the status of your oral health. Your dentist will check for any signs of possible dental problems. Not only your mouth, but also your neck and jaw will be checked for abnormalities. Your teeth may be cleaned as well, to remove all plaque that has not been removed by regular brushing. A regular dental check up may include X-rays and other diagnostic tests such as oral cancer screening. Your dentist may also discuss your diet and recommend mouth-friendly foods. Oral hygiene instructions will be given as well. The result of the assessment will determine whether or not you need other dental treatments. A dental plan may be drafted based on your oral health needs. We recommend two dental check ups a year or once every six months. This allows your dentist to monitor your oral health and check the progress of your oral health plan. Your dentist may recommend additional dental check ups if you have a dental problem. For instance, patients with early signs of gum disease will be advised to schedule more check ups as part of the gum disease treatment. Your dentist can monitor your oral health status and therefore stop oral diseases before they can compromise your teeth. By addressing dental problems early on, you are ultimately saved from spending on expensive dental treatments. One diagnostic test done during a dental check up is the oral cancer screening. When detected early, the cure rate is about 90%. This can save you years of treatment, compared to when the infection has spread and which only has a survival rate of 60%. The following are other preventative dentistry services performed in our office. 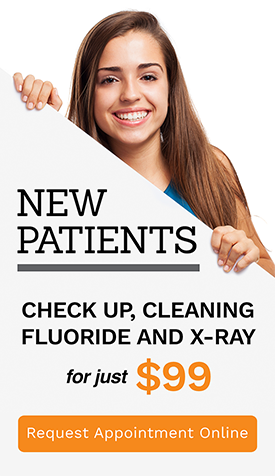 At A Plus Dental, you are always one step ahead. We encourage everyone to take advantage of our preventative dentistry services for healthier and brighter pearly whites.